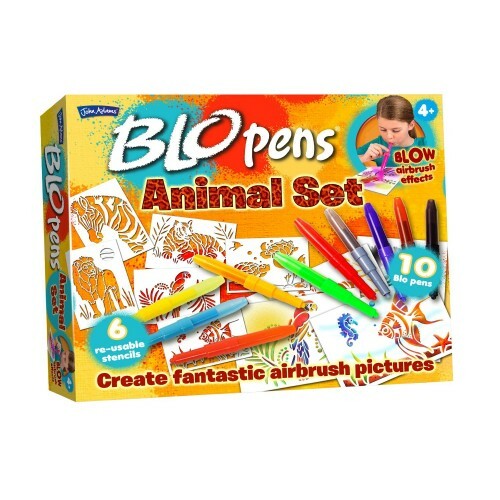 Blo Pens Animal Set by John Adams. Using this unique airbrushing technique your kids can create all kinds of amazing animal designs. 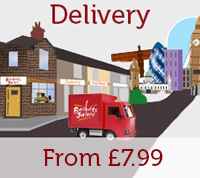 Includes 6 reusable stencils and 10 different coloured blo-pens. 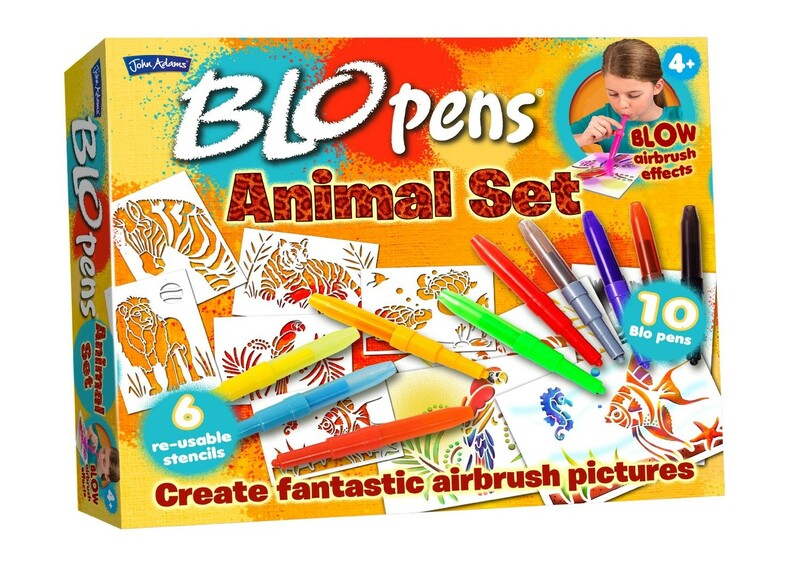 Blo Pens Animal Set by John Adams. Cool airbrushed designs featuring animal themes.